A ransom was paid by a tour operator. The kidnappers' identities are unknown. 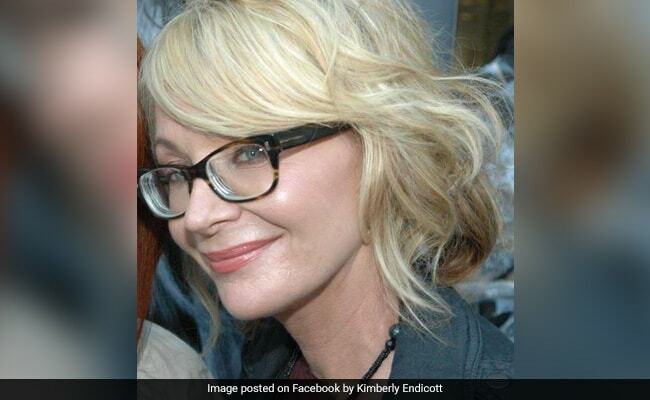 The American tourist, identified as Kimberly Sue Endicott had been traveling with a couple. An American woman and her Ugandan driver were released unharmed five days after they were kidnapped in Uganda's Queen Elizabeth National Park, according to a military spokesman. Kidnappings are rare in peaceful Uganda, though this abduction occurred close to the border with Congo's restive North Kivu province. The hostages were found Sunday near the border by Ugandan special forces, Brig. Richard Karemire said. The identity of the kidnappers remained unknown. A ransom was paid by Wild Frontiers, the tour company that organized the excursion, Karemire said, but the amount was not disclosed. The kidnappers had used one of the hostages' phones to make an initial demand of $500,000. The American tourist, identified as Kimberly Sue Endicott, 35, of Costa Mesa, California, had been traveling with a couple described by police as elderly and a driver and guide named Jean-Paul Mirenge Remezo. Endicott and Remezo were returned to a lodge on Sunday night. Four men had held them up at gunpoint Tuesday evening and then "grabbed two out of four ... before disappearing with them," police said in a statement. The other two tourists escaped unharmed. Both Queen Elizabeth National Park and Uganda more broadly are considered safe for tourists. But just across the border in Congo, no fewer than 100 armed groups hold territory, some of which have kidnapped tourists visiting that country's Virunga National Park, a 3,000 square mile tract of tropical rain forest famed for its gorillas and active volcanoes. Virunga reopened in mid-February eight months after a deadly ambush forced its closure. A park ranger was killed trying to defend two British hikers and their guide, who were kidnapped and held for three days. More than 175 rangers have been killed in Virunga. In a statement about the incident in Uganda, Secretary of State Mike Pompeo reiterated last week the U.S. government's policy of not paying ransoms. "Please remember that any payment to a terrorist or a terrorist regime gives money so that they can seize more of our people," Pompeo said. "Even a small payment to a group in, say, Africa can facilitate the killing or seizure of tens or even hundreds of others, including Americans or foreign nationals in that region."